Our most popular model has an 8” tube and a precision CNC machined baffle stack and a completely welded core. Designed for full auto, semi-auto or bolt-action configurations. A 316 Stainless tube surrounds the Inconel 718 and 300 series baffle stack that guarantees a quiet and perfect shot every time. This design maximizes accuracy, flash and sound reduction in one package. Shown here is our current production model with the TIG welded internal construction insures a lifetime of perfect bore and baffle and alignment. 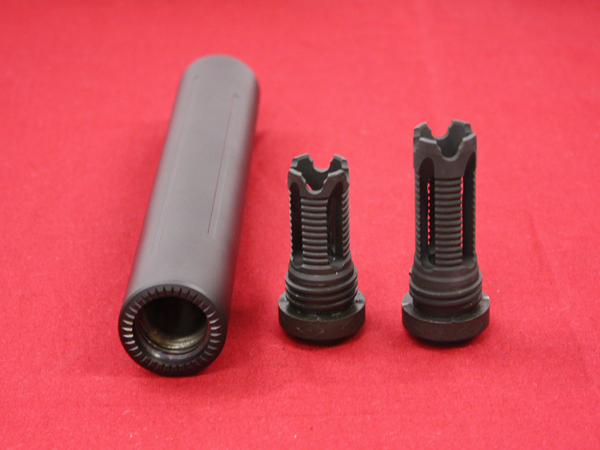 An added bonus for our tactical community and our predator hunters to the extreme sound reduction of this suppressor is 100% of the flash disappearing. 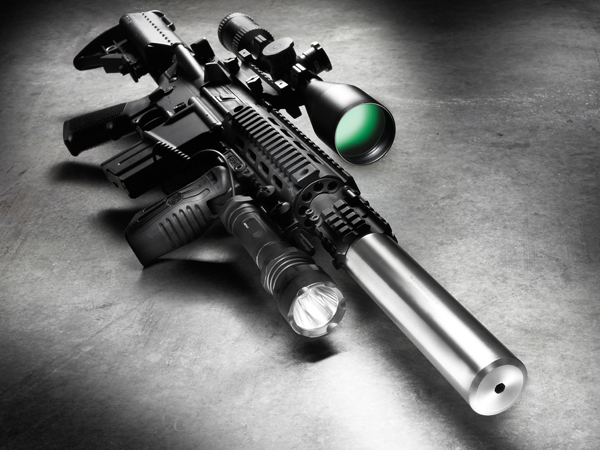 This unit design is ideal for night vision use. 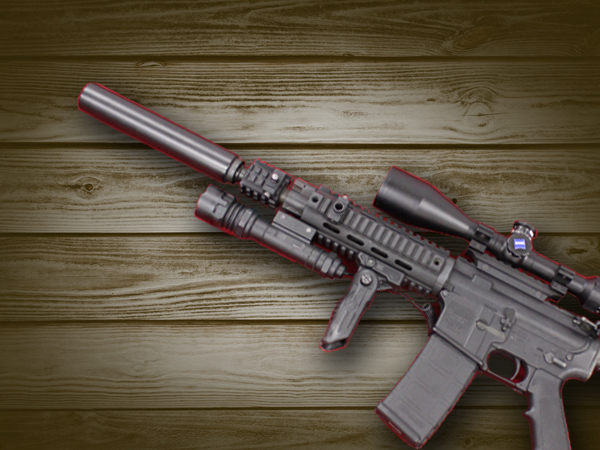 Minimal blowback and zero impact shift on AR 15 Platforms. Guaranteed for life. See our current other models available in and Titanium thread mount and Titanium and Stainless QD models. 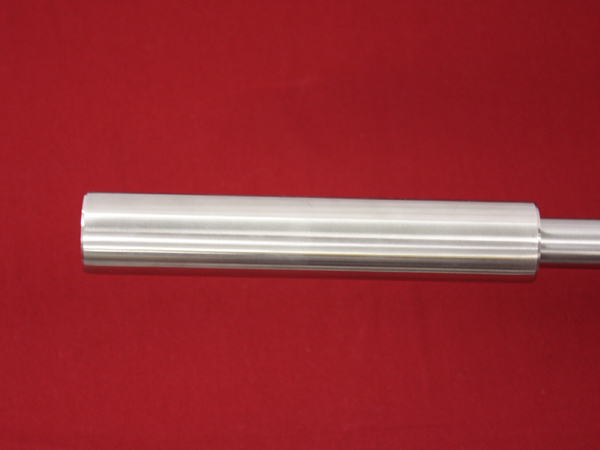 Length to host weapon: 7.4"